Square Footage: 1,244 sq. ft. - 1,775 sq. ft. 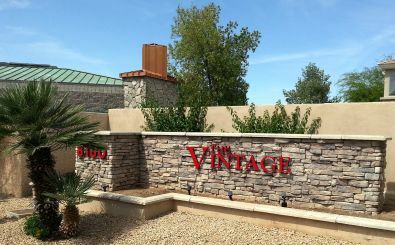 The Vintage condominiums are located at 8180 E Shea Blvd, at the crossroads of Hayden Rd and Shea Blvd. Although it's a fictitious boundary, I like to use Shea Blvd to split the border of North Scottsdale and South Scottsdale. In other words, the location of this community makes it very easy to get around town. 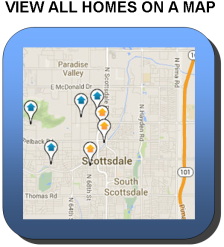 A mile to the west is Scottsdale Road with it's endless selection of restaurants and shopping. A mile to the east is the Loop 101 (freeway). Phoenix Sky Harbor Airport is a 20 minute drive to the south. Unlike many other condo subdivisions in the area, The Vintage was never an apartment complex. These were built by Monterey Homes to a higher standard with the homeowner in mind from inception. 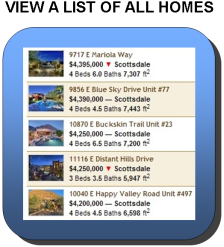 The amenities of the actual community are fairly basic, but nice and well-maintained. There's a heated pool & spa with cascading water feature, covered patio for breaks from the sun, large grassy common area and the community is gated.